This text comes from a literary spotlight that I presented to the women in my ward in 1996. With the multitudes of conflicting information surrounding us, how do we decide what to read? How do we know which of the many books available will help us progress? How do we know which ones will hurt us or, if nothing else, waste our time? We can find help in our quest to evaluate books in the story of Hiram Page, a member of the Church in its early days. Several months after the Church was organized, this man somehow acquired a stone that he claimed had given him revelations about the government of the Church and the building up of Zion. Even though these revelations contradicted teachings of the New Testament and Joseph Smith, they deceived many members, including Oliver Cowdery and the Whitmer family. But, behold, verily, verily, I say unto thee, no one shall be appointed to receive commandments and revelations in this church excepting my servant Joseph Smith, Jun., for he receiveth them even as Moses. . . .
For I have given him the keys of the mysteries, and the revelations which are sealed, until I shall appoint unto them another in his stead. . . .
For, behold, these things have not been appointed unto him, neither shall anything be appointed unto any of this church contrary to the church covenants. For all things must be done in order, and by common consent in the church, by the prayer of faith. Members of the church can be false prophets. Faithful members of the Church can be deceived by false prophets. Jesus Christ stands at the head of the Church. Christ appointed the prophet—and only the prophet—to receive revelation for the Church. In “commanding” the prophet, we are really “commanding” Jesus Christ. The prophet holds the keys of the mysteries. Everything in the Church is done in order. God gives many diligent members of the Church the mysteries. Those who know the mysteries are restricted in what they can share. God grants knowledge to His children according to heed and diligence they give to Him. Every man who writes is responsible, not the Church, for what he writes. If Joseph Fielding Smith writes something which is out of harmony with the revelations, then every member of the Church is duty bound to reject it. If he writes that which is in perfect harmony with the revealed word of the Lord, then it should be accepted. Doctrines of Salvation: Sermons and Writings of Joseph Fielding Smith, Vol.3, compiled by Bruce R. McConkie (Salt Lake City: Bookcraft Publishers, 1956) 203–204. We explained to our son that this scripture referred to Christopher Columbus. We asked whether a person who had the “Spirit of God” could be an evil man. He agreed that he could not be. We explained that Christopher Columbus had lived at a time very different from ours and that his standards of behavior hadn’t been the same as ours in every way. He certainly hadn’t been perfect—no one is, after all. He had, undoubtedly, made some mistakes, but because the Spirit was with him, he could not have been the monster many people now claim he was. Because I have the Book of Mormon and know what it teaches about Christopher Columbus, I don’t need to waste my time chasing after all of the information available that discredits him. Because I have the Word of Wisdom, I reject any nutritional information that tells me I shouldn’t eat wheat. 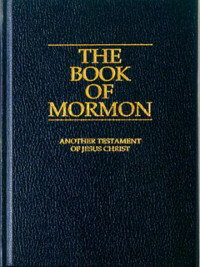 Because I have learned from the Book of Mormon that those members of the Church who have been given the “mysteries” from God are restricted in what they can share, I know that I should avoid publications of so-called spiritual experiences that claim to reveal information that cannot already be found in the scriptures and in the writings of the prophets. 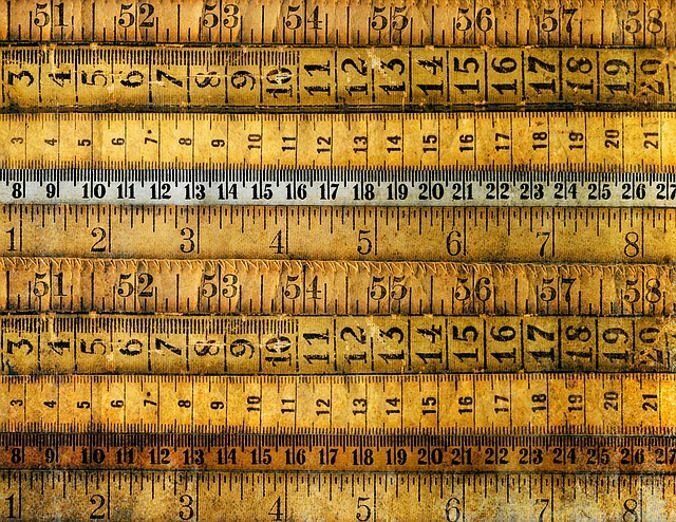 A yardstick won’t help us much unless we know how to use it. By the same token, the scriptures won’t help us if we don’t know what’s in them. Had I not been familiar with Nephi’s vision of a future America, I wouldn’t have known that he had mentioned Christopher Columbus. In that case, my son might still think Christopher Columbus was an evil man, and I might also. Furthermore, when we use a yardstick, it helps to have related skills. We need to know what the numbers on the instrument mean, and we need to know what to do with the measurements once we get them, which requires skills in math. For the scriptures to be effective tools, we must also be skilled in related areas, such as prayer, living the commandments, and understanding how the Holy Ghost works in our lives.